Investing is risky. It comes with few guarantees. The only investing guarantee I can offer is this: everything held equal, the less you pay in fees, the better your returns. Fees don’t have to stop you from making wise and lucrative investments. Thankfully, we live in the 21st century, and there’s never been a better time to be a small investor. And now, in today's mobile world, investing is becoming easier and cheaper than ever. 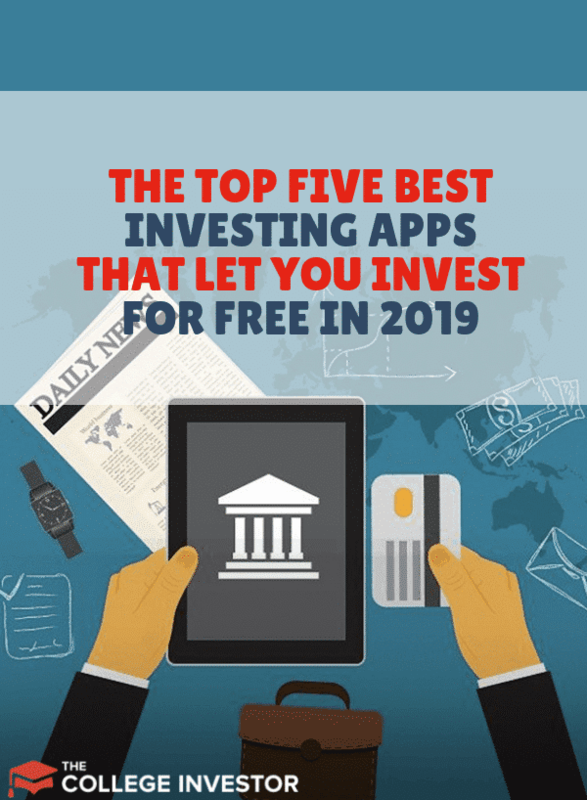 Here are the top five investing apps that let you invest for free (yes, free). M1 has become our favorite investing app and platform over the last year. With commission free investing, the ability to invest in fractional shares, automatic deposits, and more, M1 Finance is top notch. 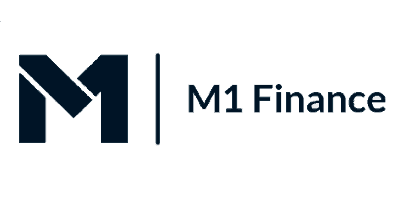 If you’re looking for a way to create and maintain a free, diversified portfolio of stocks and ETFs, look no further than M1 Finance. They provide a pretty revolutionary tool/investing app that allows you to setup a portfolio and invest into it (correctly allocated) for free. What do I mean? Well, imagine a portfolio of ETFs - maybe you have 5 ETFs at 20% each. Well, instead of having to do 5 transactions (and commission for each) when you buy, you can now simply invest and M1 Finance takes care of the rest - for free! If you don't know exactly how to set it up, you're more than welcome to use one of their already setup portfolios as well. 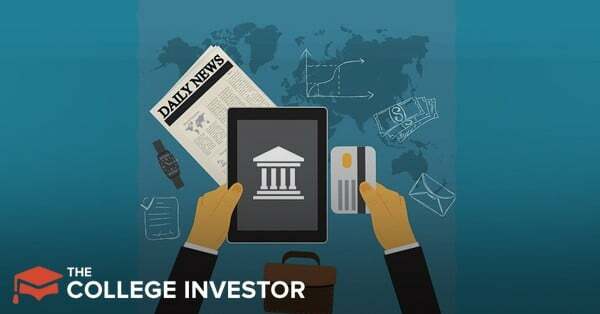 Fidelity is one of our favorite apps that allows you to invest for free. This surprises most people, because most people don't associate Fidelity with "free". However, Fidelity offers a range of commission-free ETFs that would allow the majority of investors to build a balanced portfolio. Fidelity IRAs also have no minimum to open, and no account maintenance fees. That means you could deposit just $5, and invest it for free. That makes this a much better deal compared to companies like Stash Invest. Furthermore, Fidelity just announced that it now has two 0.00% expense ratio funds - yes free. So, you can not only invest commission free, but these funds don't charge any management fees. Truly free investing. But to make it a top app, it has to have a great app, and Fidelity does. Their app is the cleanest and easiest to use out of all of the investing apps we've tested. They have a ton of features, but it all works well together. Plus, you get the benefit of having a full service investing broker should you need more than just free. Check out Fidelity's app and open an account here. If you’re set on cutting fees while maintaining a well diversified portfolio, you’ve probably discovered Exchange Traded Funds (ETFs). ETFs maintain a tax advantaged structure, and they usually carry lower fees than equivalent mutual funds. But, most brokerages charge you to buy and sell ETFs. Not so with discount broker TD Ameritrade. TD Ameritrade offers over 100 commission free ETFs from industry giants iShares, Vanguard and more. Because of the diversity of no load ETF funds, TD Ameritrade is my top broker for people who want to consider tax loss harvesting on their own. Furthermore, TD Ameritrade also have no minimum and no maintenance fee IRAs. That makes it a better pick to options such as Acorns, which charge maintenance fees. 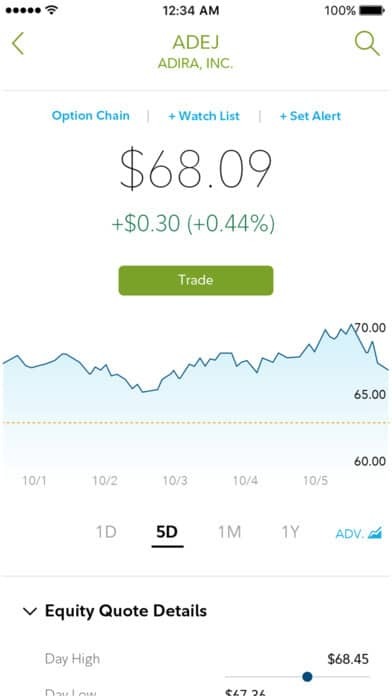 TD Ameritrade’s mobile app also offers research, information and portfolio analysis that makes the free inv﻿esting that much sweeter. Just remember, TD Ameritrade charges for some ETFs, mutual funds, and equity trades. Filter for no load ETFs before you buy. Robinhood is an app lets you buy and sell stocks for free. Users can buy or sell stocks at market price. The app allows you to make limit orders and stop loss orders too. Unless you’re an active trader, this is plenty of functionality. Plus, the app comes with a clean user interface and basic research tools. Most serious investors should pair Robinhood with one or more free research tools. This will help them develop a more systematic approach to investing. That said, you can’t beat Robinhood’s free trades, but its shortcomings here make it third. The drawbacks are really limited, but they include the fact that you can't buy fractional shares. If you’re curious how Robinhood makes money, it’s through Robinhood Gold. Robinhood Gold is a margin account that allows you to buy and sell after hours. Buying on margin means you double your expected returns. It also means you double your expected losses. The result (based on the magic of compounding) means that trading on margin tends to eat into your principal. 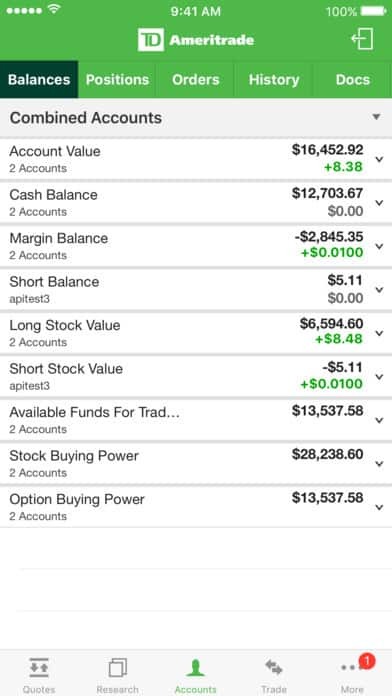 Check out the other options for trading stocks for free. Check out our full Robinhood review​. V﻿﻿﻿﻿anguard is consistently known as the low cost investment service provider. They were one of the original mutual fund and ETF companies to lower fees, and they continually advocate a low-fee index fund approach to investing. At Vanguard, you don't pay any commissions when you buy and sell Vanguard ETFs. You also pay no account service fees if you sign up to receive your account documents electronically, or if you're a Voyager, Voyager Select, Flagship, or Flagship Select Services client. Furthermore, Vanguard recently announced that they won't charge a commission on a huge amount of competitor's funds and ETFs as well! What holds Vanguard back is that their app is a little more clunky that the other apps. It feels a little "old school", and it seems to be built for the basics only. There are a lot of apps and tools that come close to being in the Top 5.​ When the competition is so good, it's hard to make the cut. Charles Schwab also offers commission free ETF trades, similar to Fidelity and TD Ameritrade.​ In fact, Charles Schwab advertises that they offer more commission-free ETFs that most other companies, and they even offer some commission free mutual funds. E*Trade also offers a large selection of commission free ETFs.​ We are actually big fans of E*Trade for our solo 401k account, but they don't make the top 5 when it comes to investing apps and free investing. While they do offer IRAs with no minimums, and charge no transaction fees, we didn't find their app as user friendly as the rest. Similar to their website, it's just a bit harder to use. However, we still really like E*Trade and they are definitely a runner up. ​WiseBanyan offers absolutely free asset management. ​If you opt into their automation program you’ll pay a 0.02% fee each month (prorates to a 0.24% fee). The fee maxes out at $20 per month. In a year or two, WiseBanyan may leap to the top of the list, but the company doesn’t allow enough customization for users today. Have you ever heard of any of these investing apps? Which one is your favorite? There’s a constant debate between Betterment and Wealthfront. We prefer Wealthfront, but Betterment is good too. Remember, Tastyworks isn’t truly free. They advertise $0 closing trades, but they do charge a commission to open a position (which is currently $5 for stocks). That’s on par with what most other discount brokers charge currently. Yes, it is the ETFs in the list we shared in the article – over 100 different ETFs in just about every sector. If you’re looking for free stock trades, look at Robinhood, which does offer 100% free stock trades (it’s just not as robust a platform). Am I understanding this correctly? Fidelity is not free since they will charge $4.95 on U.S. equities trades. At face value this seems more expensive than Stash, which charges $1 flat fee. However, if only investing in Fidelity IRA or Fidelity ETFs it is free. Whereas Stash will charge $1 / month and you must stay within Stash ETFs? Fidelity does charge $4.95 for equity trades (i.e. stocks or non-commission free ETFs), but has 100s of commission-free ETFs and mutual funds. You can invest in these in any accounts at Fidelity, but their IRA has no minimum balance requirements, which is awesome – meaning you can start it with just $5 if you really wanted to. Now, let’s talk about Stash and why it’s more expensive than Fidelity. Stash only allows you to invest in ETFs and some individual shares (like Berkshire Hathaway) – and these are almost identical to the ETFs that are on Fidelity’s commission free ETF list. They’re not unique to Stash – they’re publicly traded ETFs. But unlike Fidelity, you’re not only paying the ETF expense ration, but you’re also going to pay $1/mo on top of that. For low account balances, that can add up to a lot. If you want to invest in a similar ETF at Fidelity, you’d probably go with FTEC, which is Fidelity MSCI Information Technology Index ETF. It invests in the same companies, and it has an expense ratio of 0.08%. It’s also commission-free to invest in. The Stash ETF is 6.75x more expensive to own than the fund at Fidelity. Plus, you have that $1/mo fee on top of it! In percentage terms, your investment would end up costing about 1.74% per year in fees. At Fidelity, it’s just the 0.08%. So, when you add in the monthly fees, it ends up being 21.75x more expensive to invest at Stash than Fidelity!! All those extra fees are doing is hurting your return over time. I would add, if you’re looking to buy individual stocks (and not commission free ETFs, look at Robinhood, which is #3 on the list). Thank you Robert for that detailed explanation! The breakdown with the Technology Stocks ETF really helped. A 1% free is really bad. You do realize that you can invest in the same ETFs elsewhere without paying any management fee (0.25% or higher). And if you invest in the same social media index, on say Robinhood or M1, you automatically outperform anyone using Stash because there is no management fee on top of your regular expenses? Whats unique about stash is, u can buy fractional shares of a stock, granted there list of stocks are limited at the moment, they continue to add more, and its a flat $1 month fee, so depending on how much u r investing u can figure out the expense. And once u get balance to $5,000 its a flat 0.25% which is very reasonable to be able to buy fractional shares and invest weekly or daily. You realize that you can invest on Robinhood or M1 for free, and M1 allows fractional share investing and you can invest daily or weekly should your heart desire. And while, for some people, a 0.25% free might make sense, for what you get on Stash, it really doesn’t. Could you please advise me on what app is best for a beginner like me that wants to start investing/saving money and what might be best to invest in? If you want to do things more hands on – any of the apps 1-4 would work. If you want a hands-off approach, look at Betterment to simply connect your account to save and automatically invest. If you want to buy stocks for free – Robinhood is the way to go. If you want to buy and hold ETFs and Mutual Funds, Fidelity and TD is the way to go. If you don’t want to ever think about it, and just want to invest and have it done for you, Betterment is the way to go. I’d these brokerages offer commuting free trades, how do they make money? I understand that some of them offer free etf trades in hopes that you’ll trade in stocks or other funds km the list, but how do places like robinhood make any money? It’s also important to note that a company like Robinhood has much smaller expenses than a big firm. They are leveraging technology to keep costs low. I think M1 an RH are best for me. M1 seems the superior for long term, due to auto investing setting which basically let’s you drip all divys from any stocks, just 10$ minimum order. Plus the fractional shares are a nice bonus. RH is a nice alternative to going to a casino, the biggest cons are limited available securities able to be traded and most their focus recently seems to be on crypto exchange, which is about a 3% fee for buys and sells. But RH biggest pro I think is once you have connected your bank account there is no wait time to use that cash to buy, same for selling. Incoming funds are always immediately available. Outgoing funds are pretty fast, they say up to 5 business days, but I’ve never waited longer than 3 days, one time it even transferred the next day. Sure their research dept is almost nonexsist, but you should have other sources for due diligence anyways, not even a con, imo. Great resources! I’m interested in trying Fidelity or M1 after reading this. Does anybody have longer term experience with either of these companies? I’d love to hear about the experience from a year or longer. I have had funds with Vanguard and I have been pretty pleased. Their customer service has always been awesome! I’ve been with Fidelity for over a decade and they’re great. I’ve been fiddling with M1 for a year or so, and I love it! One of the best investing platforms I’ve seen. Thank you for the information and apologies if this is a trivial question. Which platforms lets me manage multiple portfolios (say I want to manage a separate portfolio for each child and one for myself). All of the major brokerages (Fidelity, E*Trade, TD Ameritrade) allow this, but the law requires you have a power of attorney to do it. So, what you would have to do is open each account, have each child sign a power of attorney for you, and then the account will show in your dashboard. I did not explain the question correctly. I do not mean official, named separate accounts but rather only a way to manage my money in separate “buckets” so it is easy to track. Another item I ran across (at M1 for example) is that they can only support US permanent residents (vs residents on Visas), is that typical for these services? I would like to invest, but as a retired teacher I have very little left over at the end of the month. Just to mention, around a dozen years ago I knew this retired teacher who spent between 10 minutes to 40 minutes a day managing his online portfolio. Doing this he was able to supplement his retired living style while clearing around $70,000 a year. Today, he rides on luxury cruise ship traveling port-to-port visiting and ,eating new people around the world for about $1,000 a month. Great he has a roof over his head, gets three square meals and all his needs catered to hand to foot for around $1,000 a month, better than any senior citizen community has to offer, while still making $2,000 a week from his online investment portfolio. As a retired teacher with little to invest is such a lifestyle stile reachable in this day and age and if so what are your professional suggestions? I first (to level-set expectations) wouldn’t expect to even get close to that level. That took years of compound returns and growth to achieve. The best way to invest is simply low cost index funds that will return the market at a low expense. This list has the best ones to do it at. If you’re not sure where to go, find a financial planner in your area to help you. 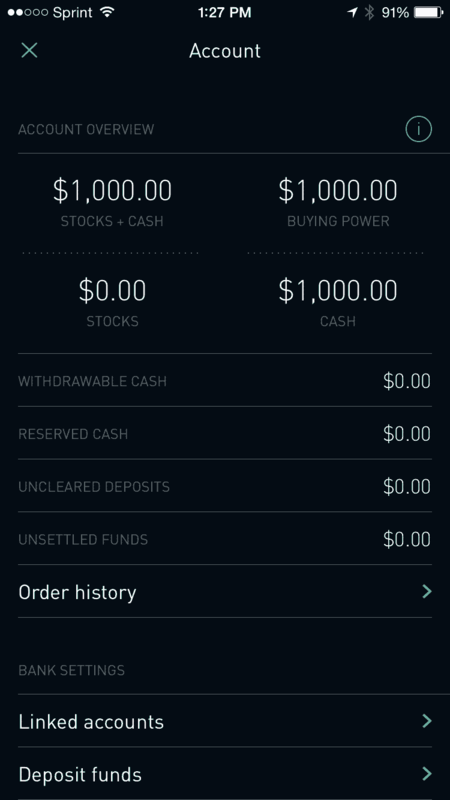 What are your thoughts on uStocktrade in comparison to Robinhood (besides UST charging $10 per trade and $1 per month and Robinhood being free)? What type of investing are you going to be doing? Or are you going to be trading? Perhaps you weren’t aware of the Matador and Webull competitors to Robinhood at the time of the dissemination of your article on the subject. They allow commission free trades, as well. Hey Dave! Familiar with both. We just put out our Webull review here. Matador is coming soon. They have some potential (especially for traders versus investors), but they don’t make the top 5. Hi, does anyone know if any of these platforms support non-u.s.a citizens? Like international students? No, you must have an SSN to use any US-based investing platform. If a new naive investor starts with Betterment or similar and after several years feels comfortable making some investment choices on their own can they simply convert the account, directly invest the portfolio into another company or close their Betterment account and start fresh somewhere else? You can always transfer out any time. However, Betterment is a great tools. A better option if you want to invest a bit on your own would be to open a second account and try it out a bit. For the long term, it’s not necessary, but some people want to for fun. Can someone tell me what platform is best to start and begin investing and or trading? I am a stay at home mother with my own business and want to start investing for my girls future. Where should I start? We recommend M1 Finance above, that’s why it’s #1 on the list! I want to start options trading. I use Robinhood, and it lets me trade options, but doesn’t allow spreads for me. As per Robinhood, I need more experience with trading options to enable speads. So is there any other app which lets me trade option spreads for free? There are no other apps that let you do it for free. Great information it clarified most of my questions. I am a beginner and want to invest. I want to an app to automatically transfer my money and the app do the work. Which one is the best? I am leaning to M1 app…will it automatically invest or i have to monitoring closely? M1 automatically invests into the setup that you create.